In a sign that miracles can still happen, German authorities uncovered a trove of 1,500 works in a Munich apartment hidden from public view for 70 years, first by Hildebrand Gurlitt, and then his son, Cornelius Gurlitt, now 80 years old. Some of the pieces are priceless works by Matisse, Picasso, Auguste Renoir, Henri de Toulouse-Lautrec, Max Beckmann, Marc Chagall, Paul Klee, Max Liebermann. Otto Dix and Ernst Ludwig Kirchner. Gurlitt, the father, was a well-known Munich fine art dealer who was reportedly hired by the Nazis to liquidate and convert to cash seized artworks labeled “degenerate,” that is, art deemed contaminated by Jewish influences. Ironically, Gurlitt, the father, was deemed one-quarter Jewish under the Nuremberg race laws. 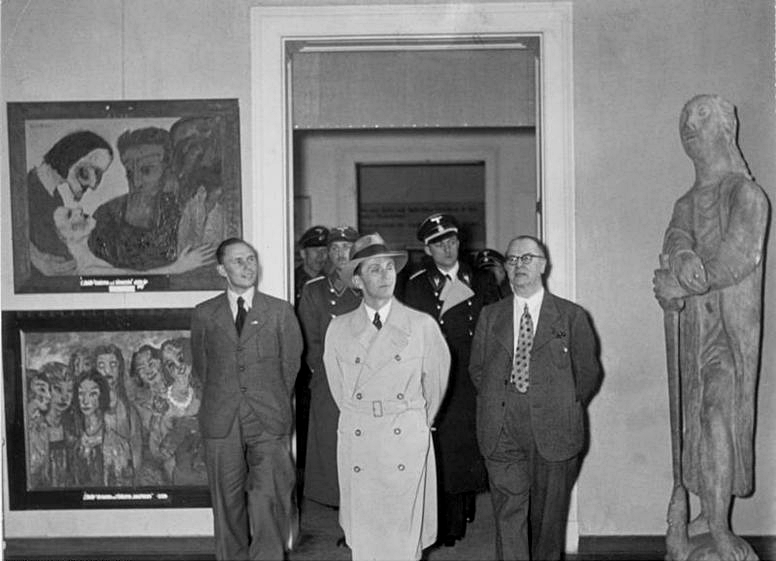 In any event, Gurlitt kept much of the seized art, falsely claiming at the end of World War II that the entire collection was destroyed in the 1945 bombing of Dresden. As reported in Focus, the German magazine, the $1.35 billion (yes, that’s billion) collection was found hidden behind cans of food and cartons of juice during an apartment inspection in connection with a money laundering investigation. That’s because in 2010, Gurlitt, the son, was stopped on a train to Switzerland with 9,000 euros in cash on his person, the equivalent of over $12,000 (US.) That led to a discovery by officials that on no declared income or visible means of support, Gurlitt, the son, had been able to accumulate over $675,000 (US) in various bank accounts. It turns out that the Gurlitts had been liquidating pieces from the seized collection here and there over the years to finance their lifestyle – such as it was. The artworks were found over 2 1/2 years ago but their discovery has only now been made known to the public One wonders why public disclosure of such an immense find took so long to occur, but perhaps recriminations should occur later. For now, the worldwide celebration commences for the discovery and return of gloriously significant works which have been missing from humanity’s view and were presumed destroyed. The collection is still not fully inventoried but one of the pieces appears to be a Matisse owned by world renowned collector and dealer, Paul Rosenberg, titled “Portrait of a Lady.“ Mr. Rosenberg’s massive art collection was seized by the Nazis at the start of World War II, and over the decades since, his family has doggedly pursued the return of these pieces. But they never lost hope or their determination. The Rosenberg story is typical of many families who lost their treasures to the Nazis. For this law firm, we rejoice in the justice of seeing the return of these dynamic works. However, as art lawyers we cringe at the complex legal entanglements which are bound to occur when sales by the Gurlitts over the years are reversed. That’s because it seems likely that the pieces sold by them will turn out to be stolen artworks and claims will be asserted by their rightful owners. Pain will be felt by current ownership who may be entirely innocent of crimes, or by those families who are hard pressed to prove their case of illegal seizure by the Nazis. But for now, let’s talk about happy endings! We can only hope that the Rosenberg family and others similarly affected can see the prompt return of their family treasures, and that they share their works with a jubilant world.